Makes Managing your Car Maintenance Schedule EASY! Join thousands of happy customers that use Automotive Wolf everyday to manage their vehicles. Q uality car care software that's packed with features no other product can match! 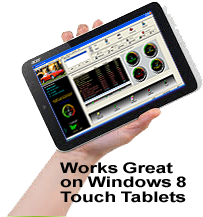 The PRO version includes unlimited gauges to track maintenance items and Automatic Email Reminder options when any maintenance is due.